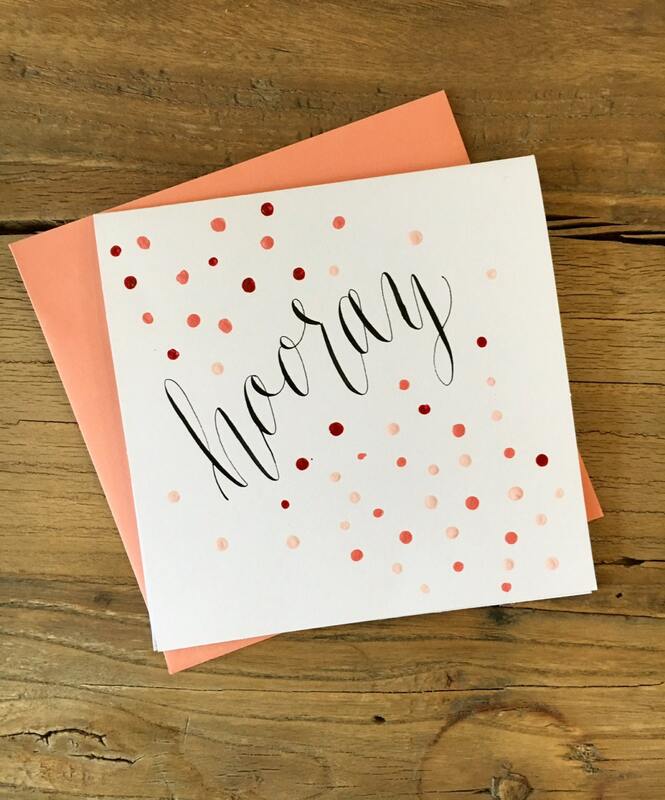 Hooray card | Color options! A birthday. A new baby. An engagement. A graduation. 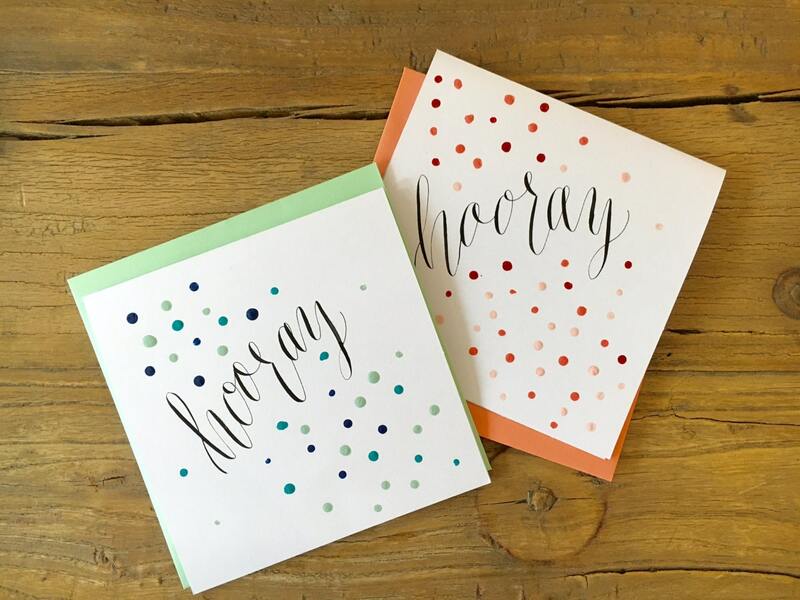 These are just a few occasions to say "hip hip hooray" about! This unique handmade card (no prints here) measures 5.5 by 5.5 inches. 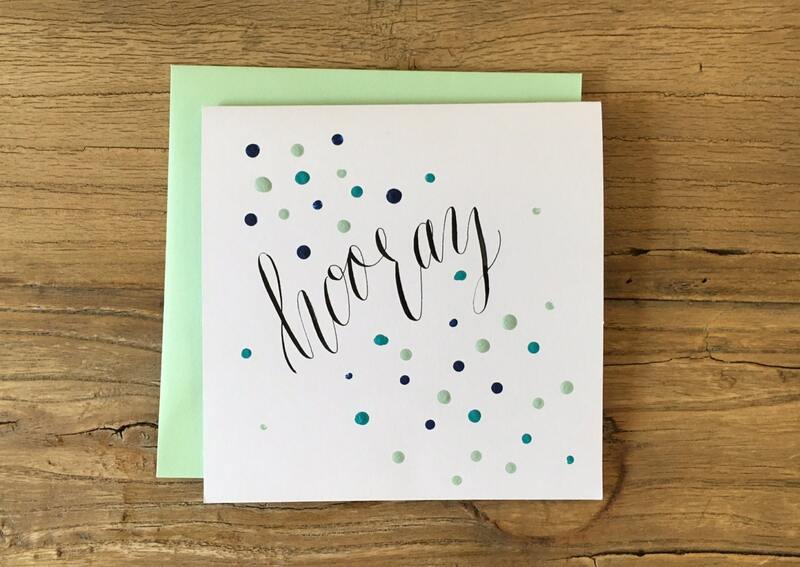 It's made upon ordering with shimmering gold paint on sturdy cardstock. The card comes with your choice of envelope and will be delivered in a plastic protective wrapper.